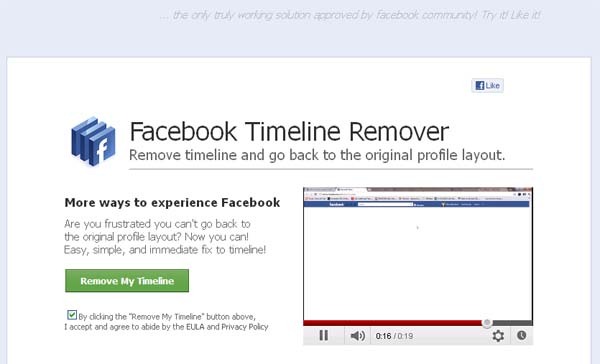 The second issue we have is the use of the Facebook application to make users think installing the app will remove Timeline. It is a questionable marketing gimmick at best. There is no official working solution approved by the Facebook community. 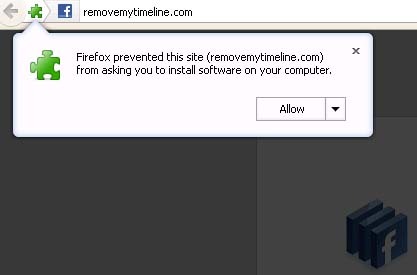 This is obviously a ploy to gain users trusts and make them feel better about proceeding with the download. We decided to stop here, and we recommend that you do the same. We didn’t examine the browser extension, so we can’t say for certain if it is a legitimate browser extension that modifies your Facebook layout, or if it is packing malware. The marketing tactics alone are reason enough to stay away in our opinion. The Facebook message is not spreading by using the application installed, so the browser extension could contain code that spreads the very same message you clicked on to your friends. If that is the case, then you will need to remove that status update from your profile and notify your friends about the spam.